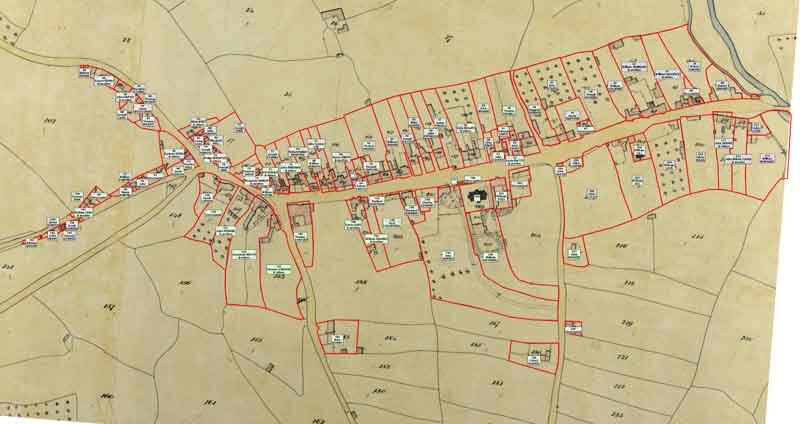 The occupiers of properties in the village as recorded in the Tithe Apportionment of 1841 displayed (along with the parcel number) on the original Tithe Map. The red lines are the approximate property boundaries of the Tithe Map. This map is aligned north-south. The Tithe Map is from a photograph provided by the Dorset History Centre which has been registered north-south.